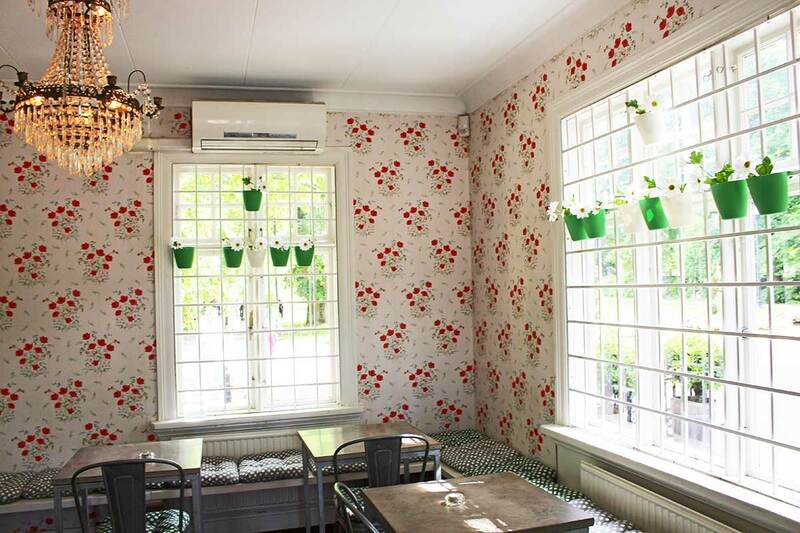 The lush gardens in the cities, the green country side, the ecological lifestyle and the garden-to-table food concept. 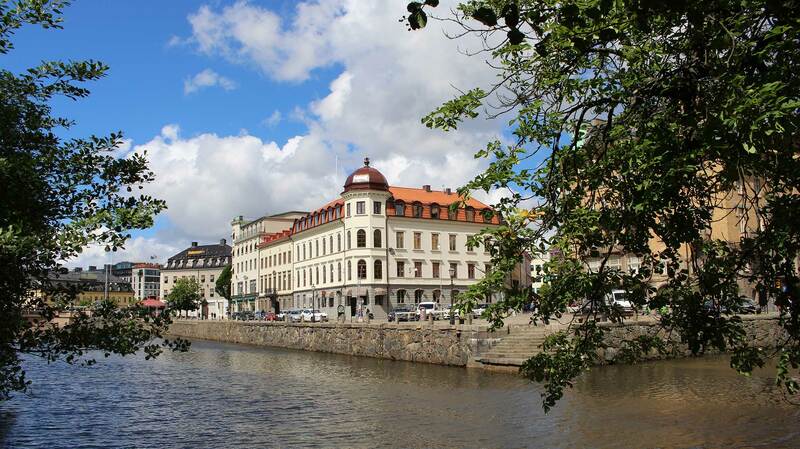 Gothenburg, the largest city of West Sweden, is also the home of Volvo factory, one of the very greenest car factories in the world. 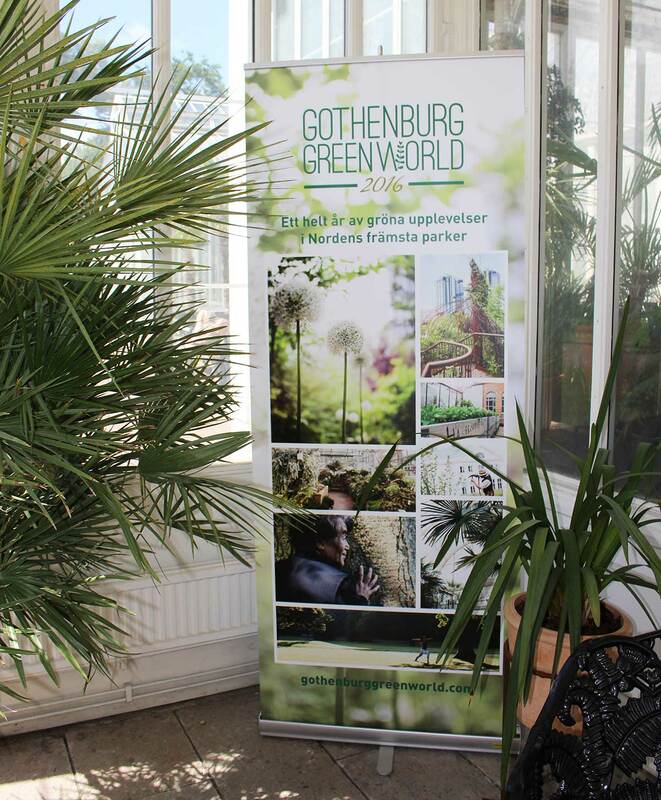 This year Gothenburg gardens also joined together with a very creative joint concept, the Gothenburg Green World. 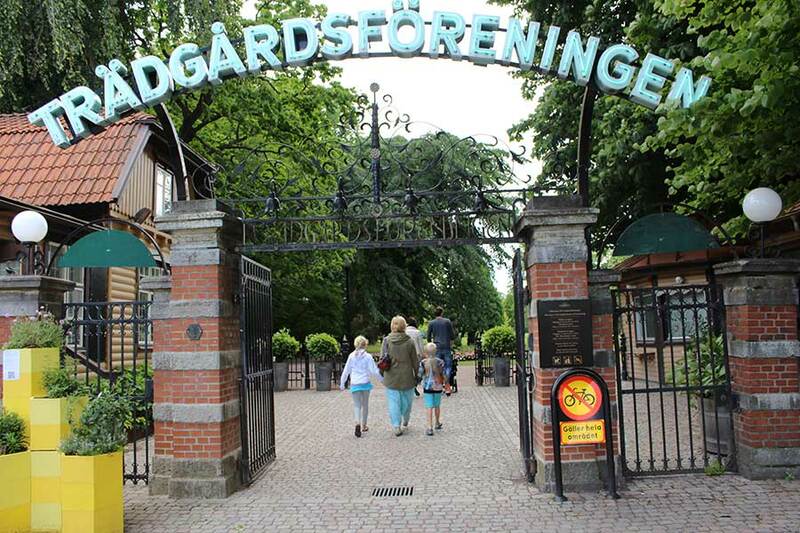 With this initiative the gardens of Gothenburg made it easier for anyone to find key green experiences the city and the region have to offer. 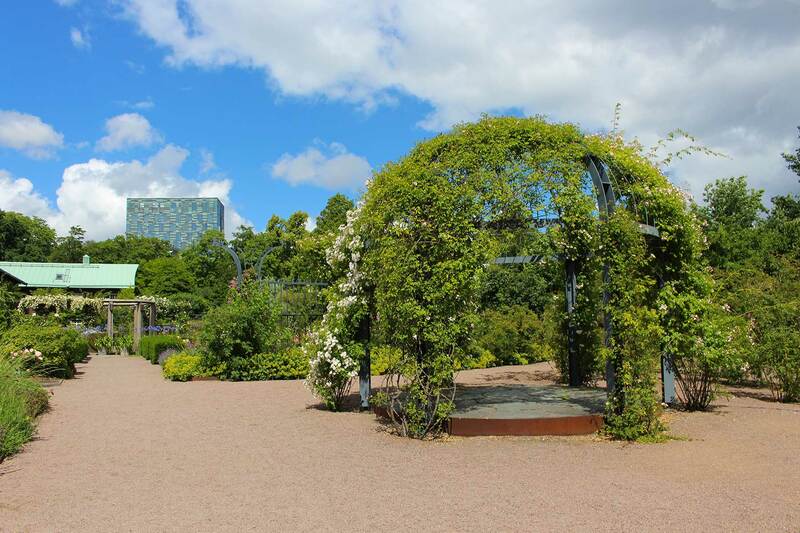 The Gothenburg Green World is a one year project for the entire year of 2016, and has the ambitious aim to inspire organic gardening and ecological lifestyles, following the example of the foremost parks in Scandinavia. You can learn more about the initiative on their website. 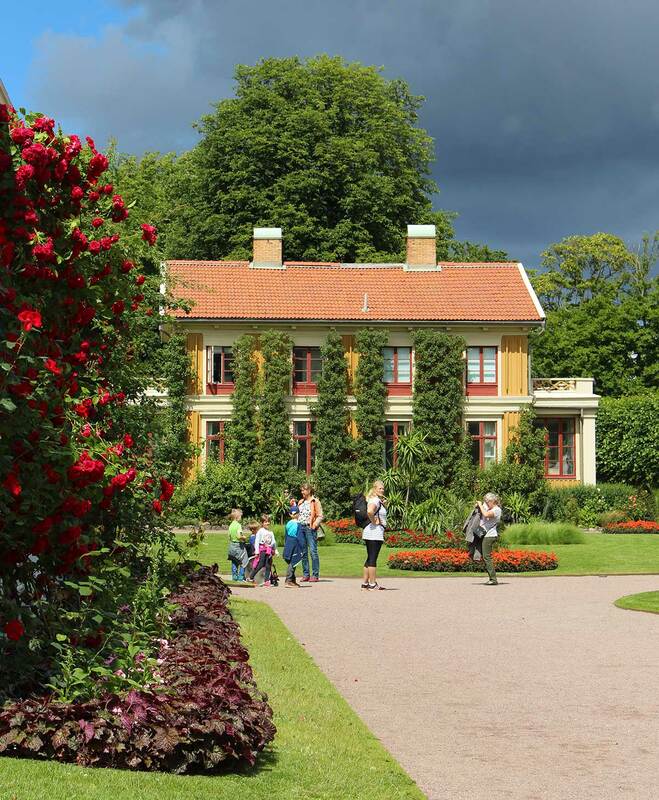 It was very fitting that we started our trip to West Sweden in Gothenburg, and more precisely at the Garden Society of Gothenburg. Join us for a quick virtual tour. 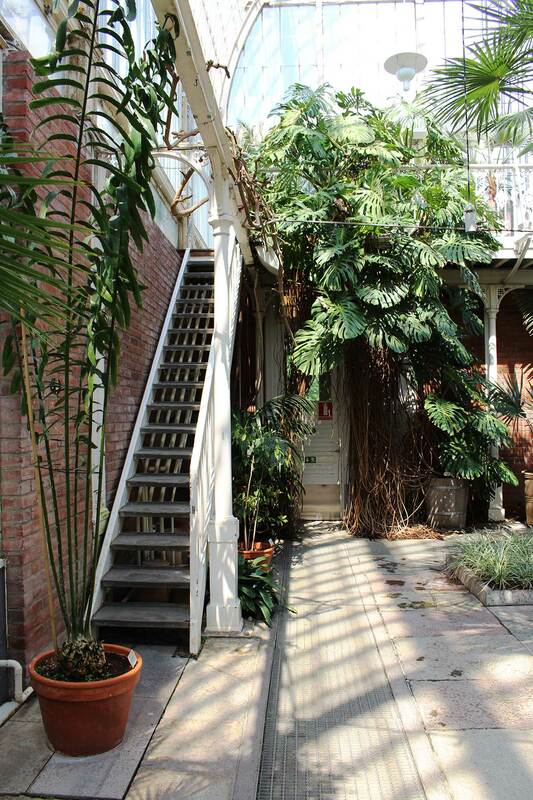 The Garden Society is located right in the middle of the city, making it easy for anyone to find a place of serenity and green enjoyment in the city. One of the entrances is very close to the train station, where many of the trams also stop, so getting there truly is easy. The purpose of founding the gardens had two main objectives: to promote the spreading of horticulture and to create a popular meeting place. 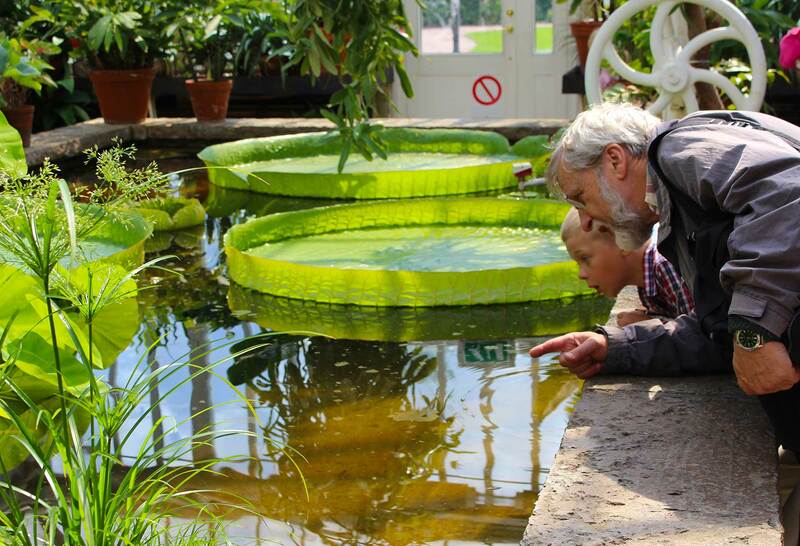 The Garden Society was founded already in 1842 and is today one of the best preserved 19th Century parks in Europe, and it still brings people together – and hopefully also encourages to live green! 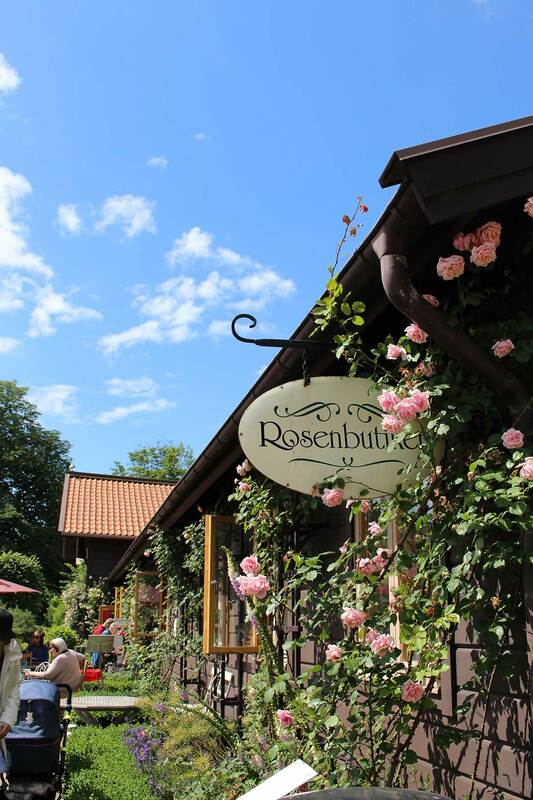 Start your visit at the Rose Garden and if you want to get a bite, stop at the Rosenbutiken for shopping and at the Rosenkafeet to enjoy fika, a coffee break, outdoors. 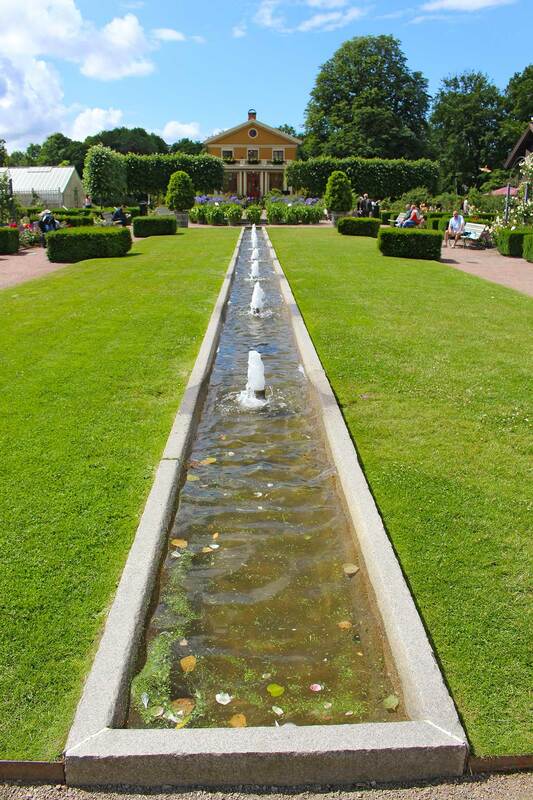 Or just get right into discovering the gardens, and enjoying the gorgeous water fountains within. 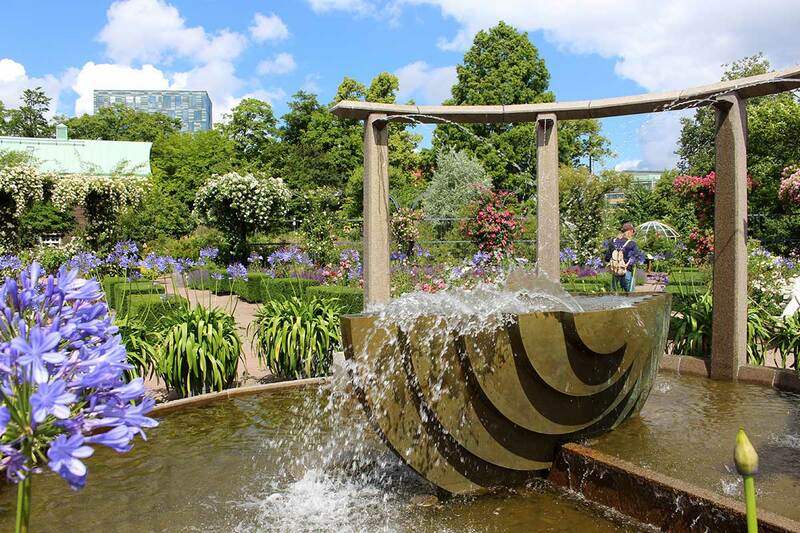 The gardens truly are a great place to visit for anyone. 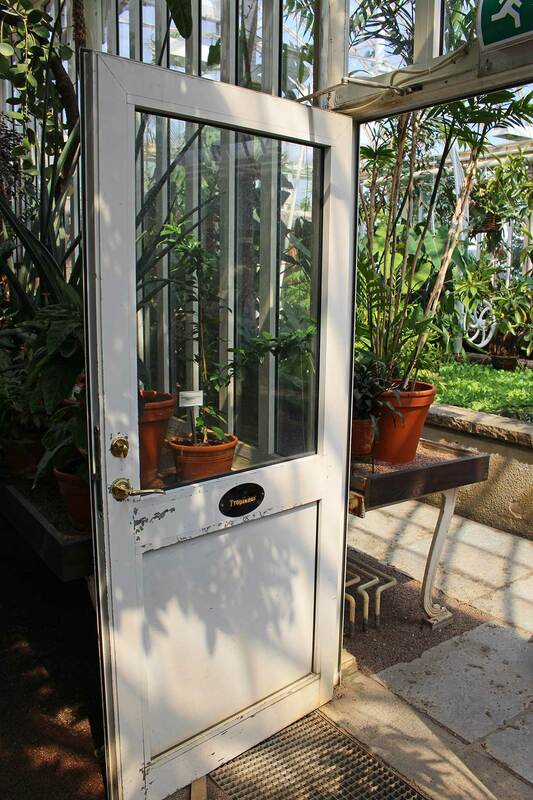 Whether you are up for a romantic date, or visiting with your kids or grandma, the Garden Society has something that appeals to everyone in the family. 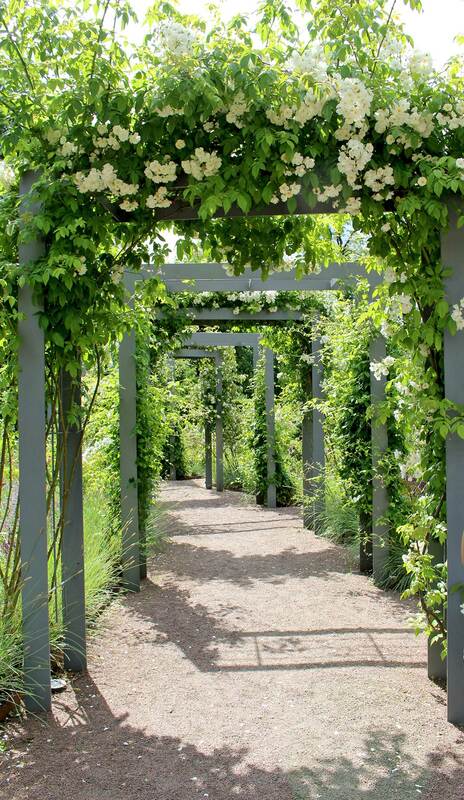 The Rose Garden part of the Garden Society has over 1,200 different roses blooming each summer. 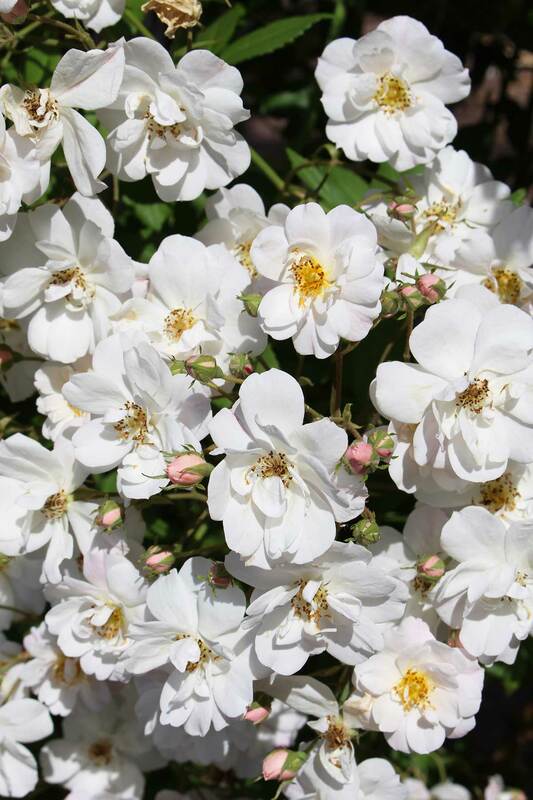 Late June-early July is the best time for seeing the roses in bloom and the Garden Society even hosts a rose party. 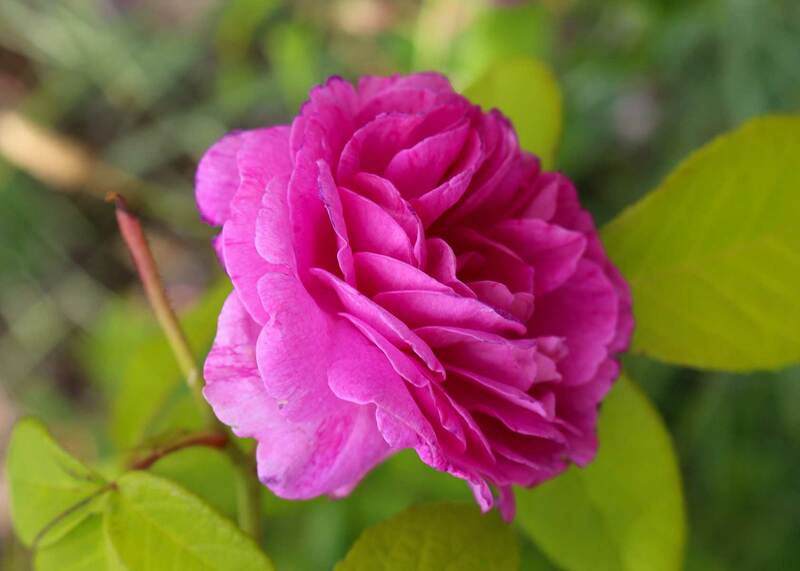 You can see roses in bloom again later in August, but sometimes you can see roses in the garden all the way to November. 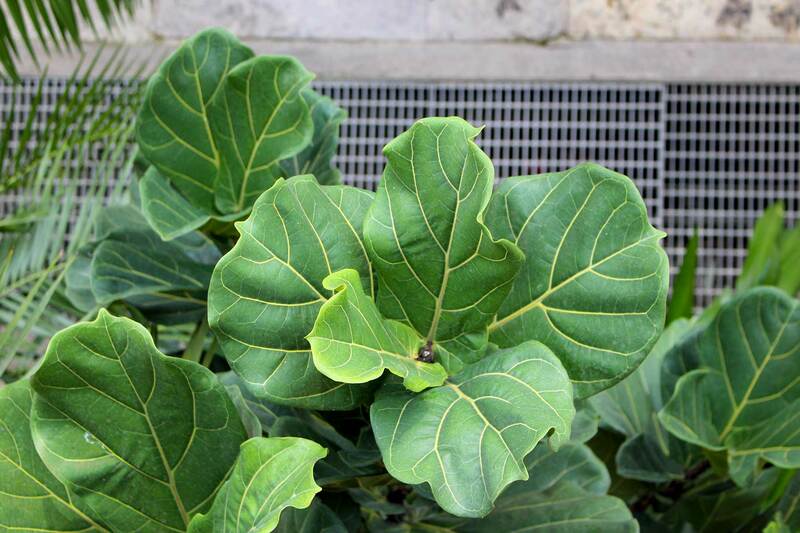 To follow the commitment to “green,” the Rosarium is run ecologically and insecticides are not permitted to harm humans or animals. 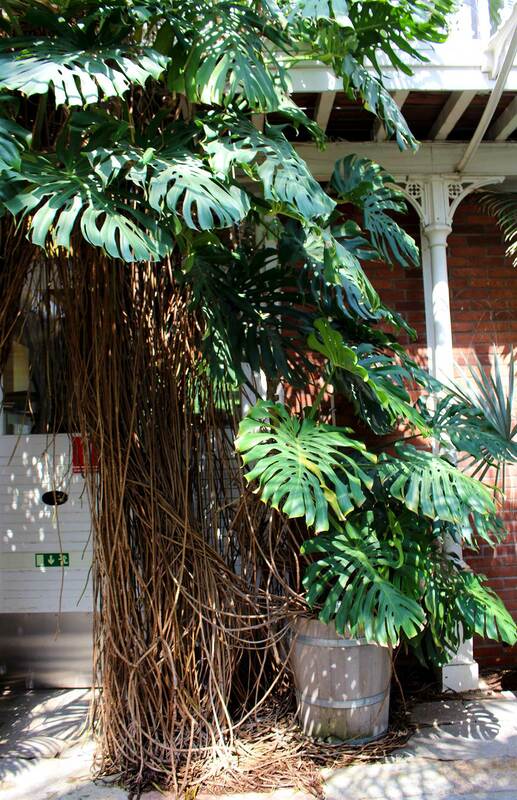 Then continue your visit inside the Palmhouse. 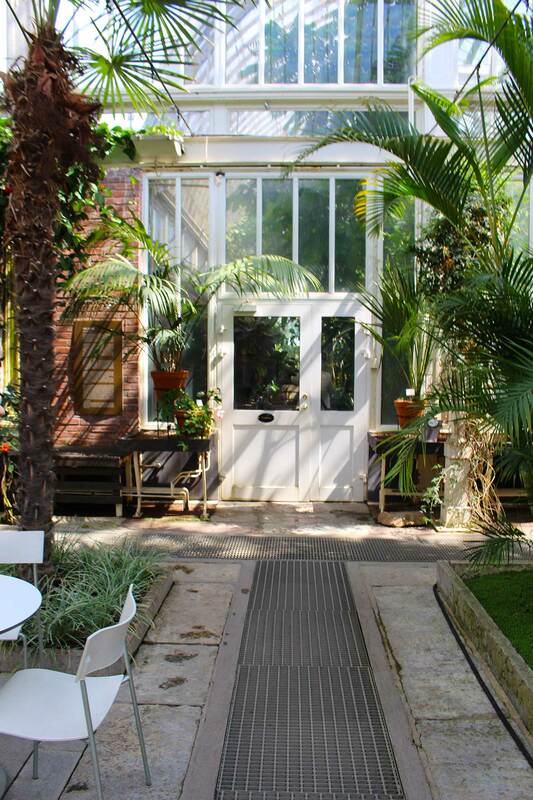 The majestic Palmhouse was built in 1878 and was inspired by Crystal Palace in London. 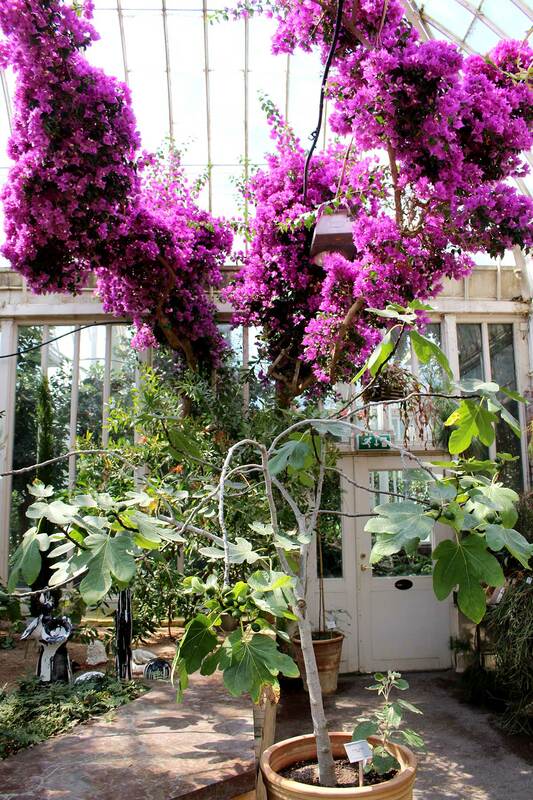 The stunning greenhouse building contains five sections with different climates: the Camellia house, the Mediterranean house, the Palmhouse, the Tropical house and the Water house which contains the Giant Water Lily, grown from seed each year, and a fine collection of bromeliads. 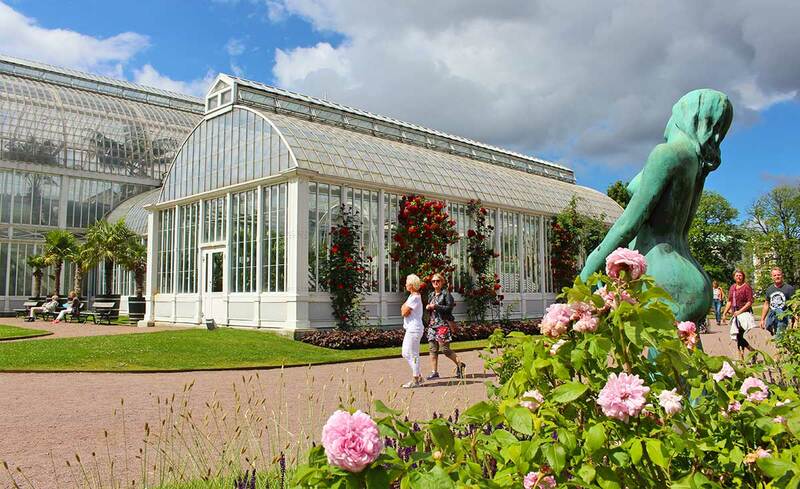 Even if you visit Gothenburg when most of the outdoor gardens are not in full bloom, do yourself a favor and at least visit the Palmhouse in the Garden Society. 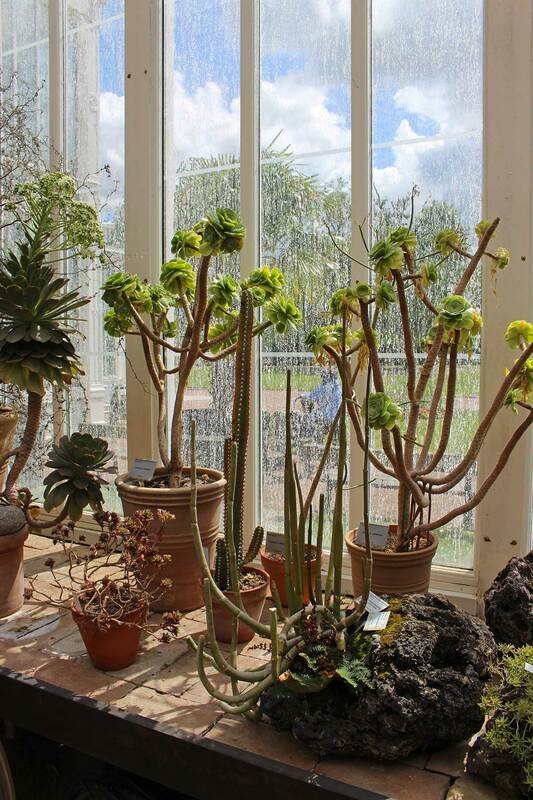 There is more to explore than the Rose Garden and the Palmhouse. The nearby canal makes a great view too for continuing your walk through the park. 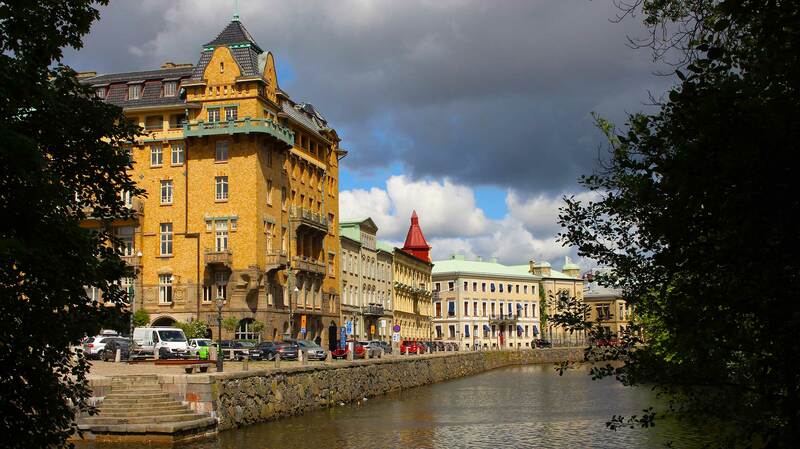 The canals of Gothenburg were built in the 17th century, and you can also take canal bout tours. We enjoyed walking by the canals. 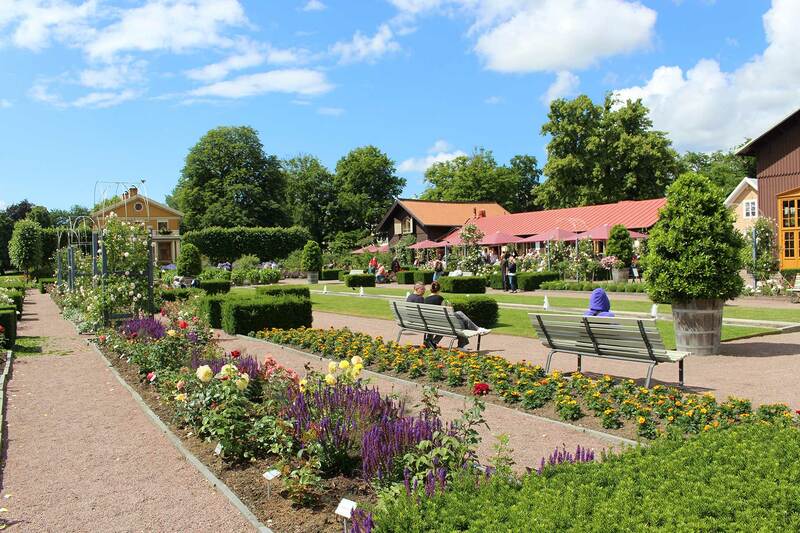 The park has also a restaurant and a children’s playground. You literally can spend hours in the park. 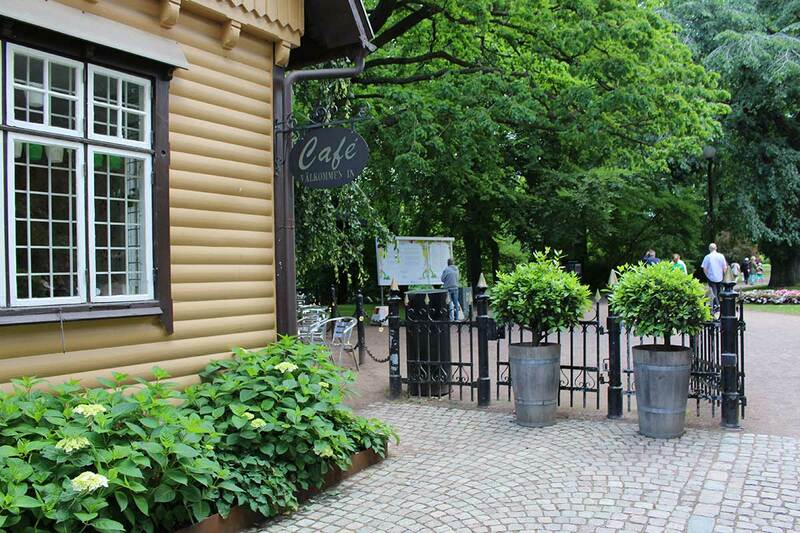 Once you walk to the other entrance of the Garden Society (the Södra vägen entrance), you can also find a darling cafe in the corner. 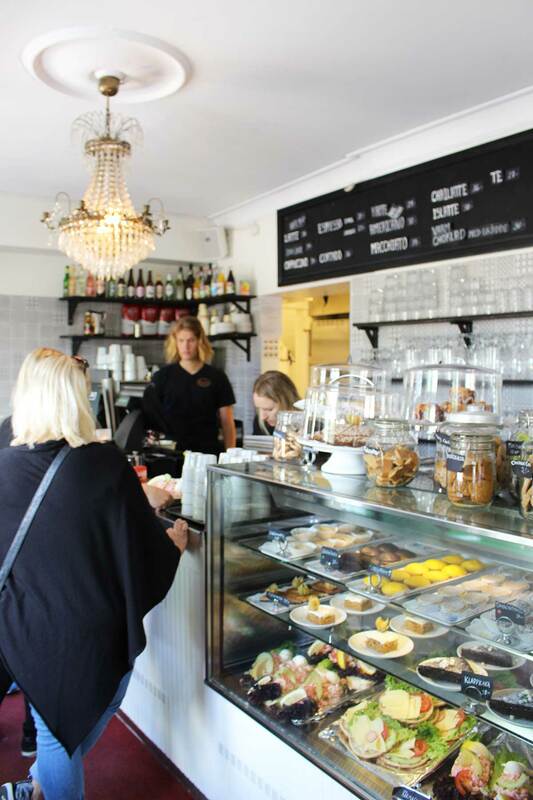 The Cafe Grindstugan is a perfect typical Swedish style coffee shop, where you can find open shrimp sandwiches, chocolate balls, cinnamon buns and other typical treats. Perfect stop after an afternoon at the Garden Society. 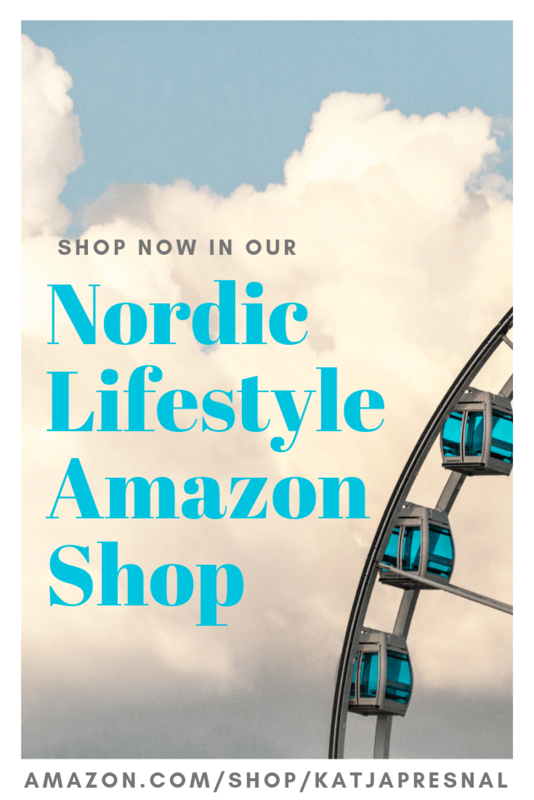 Disclosure: Our trip to West Sweden was done in a partnership with Visit Sweden, West Sweden and Gothenburg tourism boards, and with their partners Scandinavian Airlines and Volvo. Oh My!!! 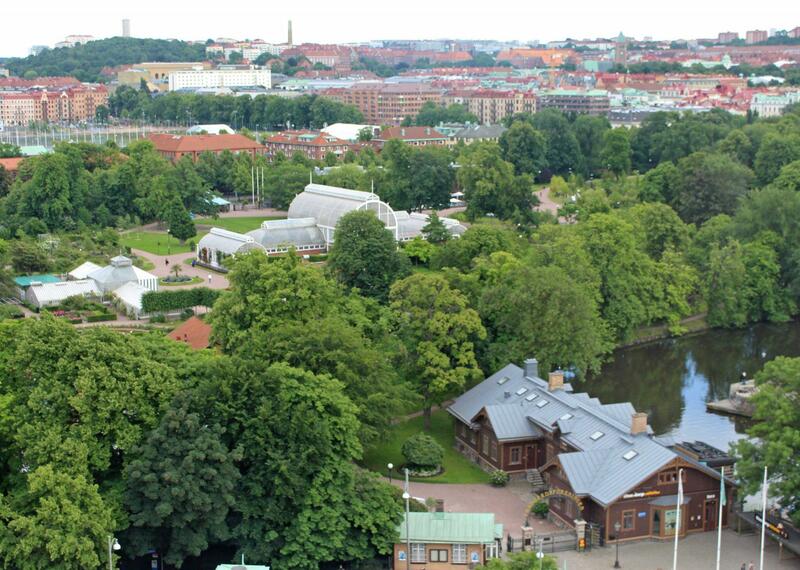 I have never been to Sweden but this looks like the most glorious, relaxing and beautiful place in the whole world! Seriously. I just want to move back. I have never ever been to Sweden. I don’t know why. 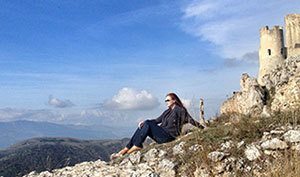 I’ve traveled a great deal. These photos are simply stunning. I need to get me to Sweden.